Sitting behind your MacBook Pro or any other Apple laptop or computer, you probably aren’t too concerned with the safety and security of your personal documents and privileged data, but you should be. The incidents of cyber crimes directed at private citizens is on the rise and hackers are becoming more adept at nabbing information and data, including the tax returns and bank statements of prior years, from an individual’s home computer. Aside from keeping your personal data safe, the benefits of external hard drive far outweigh the initial cost of the component. Here are the top reasons why your Mac would benefit for an external hard drive, a few of which might even surprise you! Two hundred and fifty, 90 minute DVDs or digital downloads. Imagine being able to ditch your archaic DVD collection and instead store your favorite films on a sleek, modern hard drive. Ninety million emails. This may seem unbelievable, but this is the amount of storage that small hard drive can offer. Seven hundred fifty thousand photos. Go ahead and be that obnoxious parent that documents every second of your child’s life, because you now have somewhere to store all the photos of your daughter’s first birthday or first attempt to roller-skate. Many gadget lovers couldn’t imagine leaving the house without their MacBook Pro or tablet, which unwillingly makes them a target for thieves with the same penchant for technology. Incidents of stolen laptops and tablets are on the rise; however, the physical theft of your precious gadget is the least of your worries. For many thieves, the information contained on your laptop or notebook is the real prize. Consistently uploading your privileged, sensitive information onto an external hard drive allows you to erase this information from your portable device, much to the chagrin of every techie thief. Laptops and personal computers have come a long way since their inception, but unfortunately technology has not come up with a way to ensure your internal hard drive doesn’t fry, meltdown or simply fail. Protect yourself from the potential damage caused by this unfortunate inevitability by backing up your files on an external hard drive. 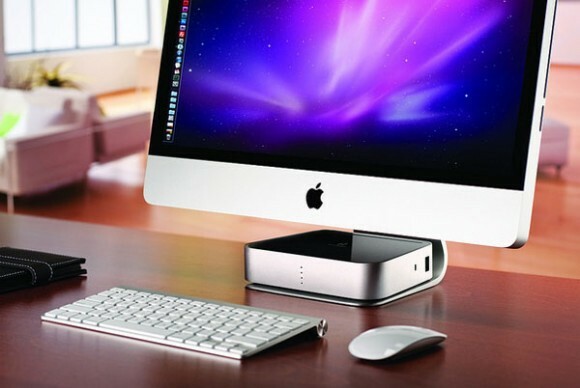 Small business owners will appreciate an external hard drive’s ability to make transferring information and documents between a Mac and PC less of a chore. If this is a main motivation behind purchasing your next external hard drive, read the packaging carefully to ensure the device is compatible with both Macs and PCs. Viruses, bugs, malware and spyware are the price everyone pays for the glory that is the internet. The majority of anti-virus and anti-malware software can be easily used to scan your external hard drive. Also, in the event that your Mac, PC or laptop does become heavily infested with a nasty virus, you’re previously scanned, clean external hard drive is waiting to store all your information. You’ve stored all your photos, home videos and favorite films on your external hard drive, but aren’t in the mood to watch a flick or scan through photos on your Mac or laptop. Several models of HDTVs are compatible with external hard drives, allowing you to leave the laptop in its case when you want to watch a movie or show the grandparents those photos of your daughter’s first experience roller-skating. When shopping for an external hard drive for a mac, keep in mind there are several models available with vastly different features and price points. If you’re only using the hard drive to store a few family photos, don’t hesitate to purchase a cheaper model with less storage capacity. On the other hand, a massive 2 terabyte model may be the answer to your storage needs if you’re running a small business or are looking to ditch your CD collection and store all your MP3s on an external hard drive.